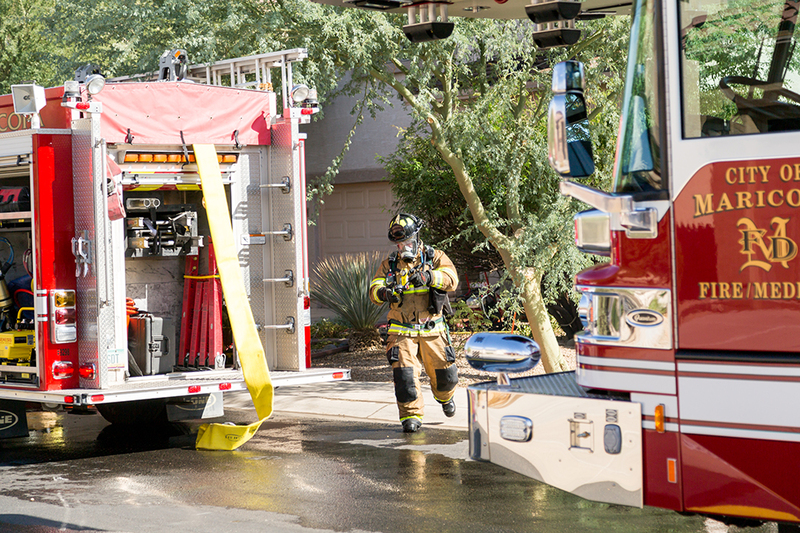 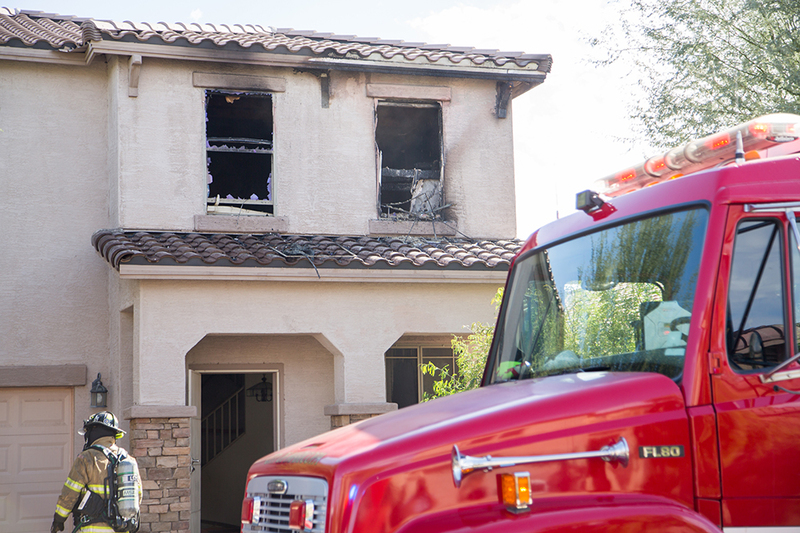 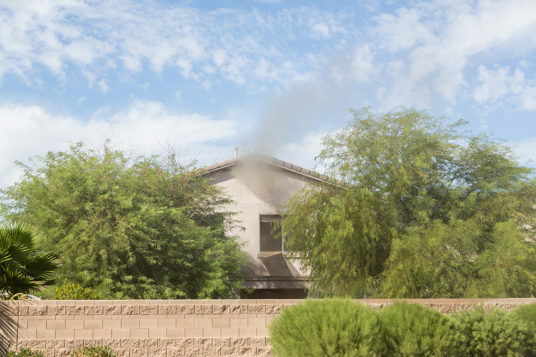 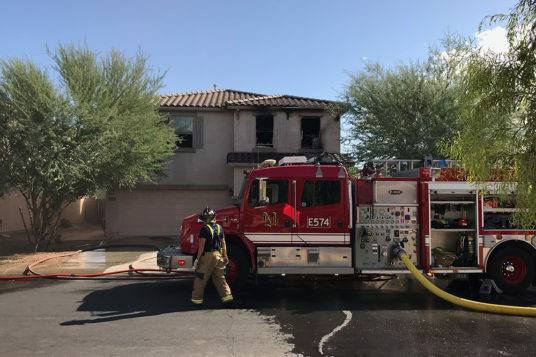 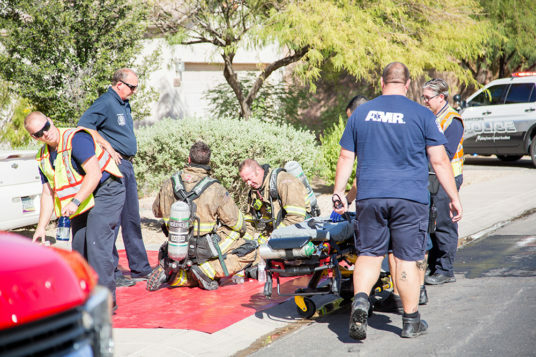 A mother and her two children safely evacuated their home in The Villages after it caught fire Tuesday afternoon, according to Maricopa Fire/Medical Department. 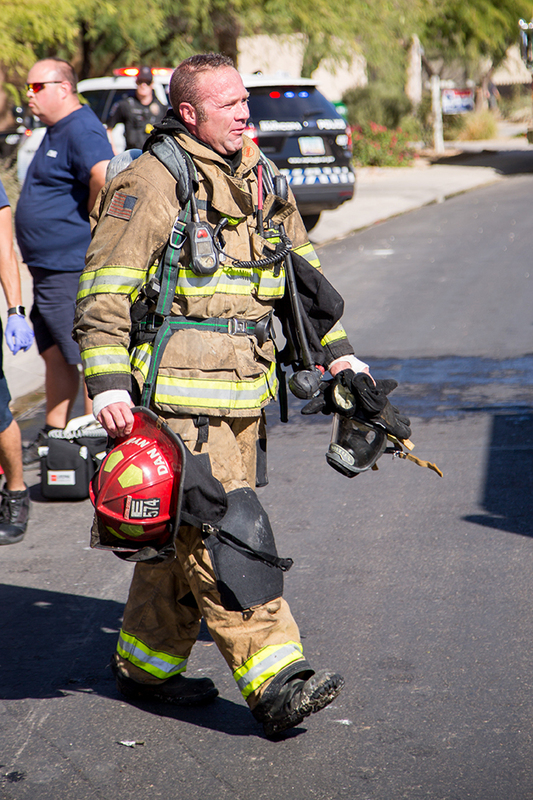 Brad Pitassi, MFMD spokesman, said crews received a call reporting the fire on Griffis and Alma drives around 3 p.m.
Officials are still investigating what caused the fire, but crews first on-scene said the blaze began in a second-story bedroom. 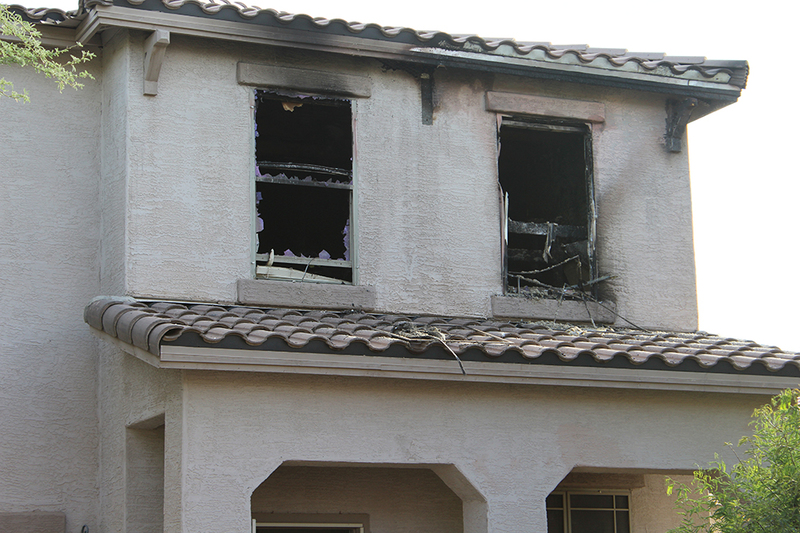 Pitassi said the family’ two dogs made it out safely as well. 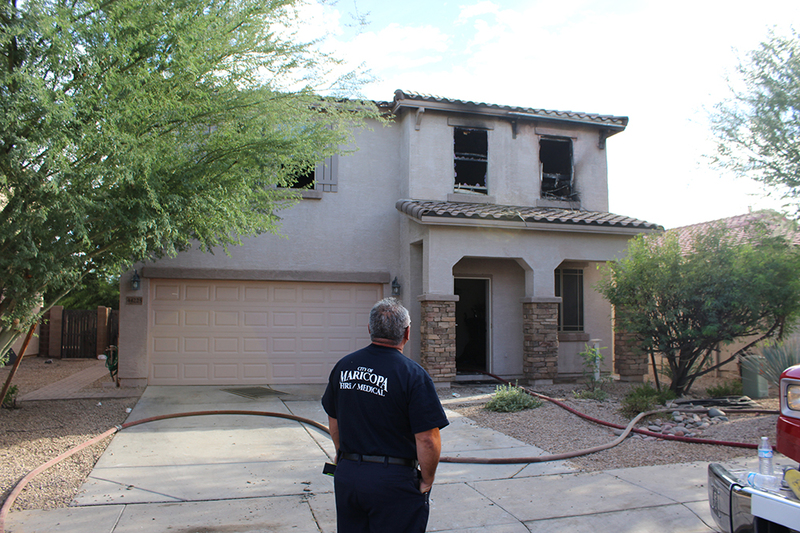 Responding officers reported hearing fire alarms ringing as they entered the home, he said. 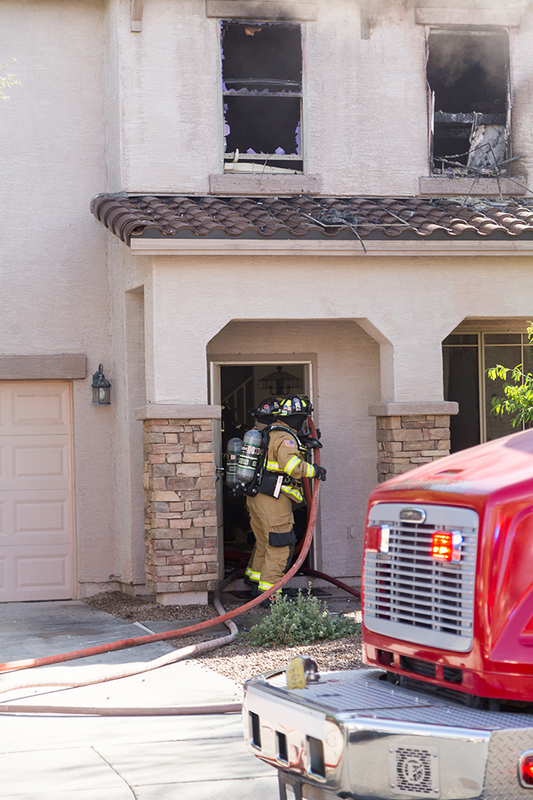 As crews worked to contain the fire upstairs, they discovered it had spread to the attic, Pitassi said. 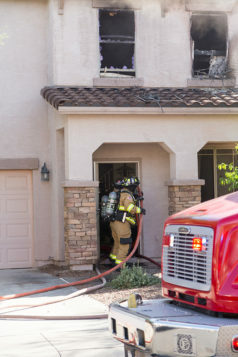 “It was a very aggressive fire attack for that first crew that came in and they were able to stop that from extending deeper into the attic, so a really outstanding job there,” Pitassi said. 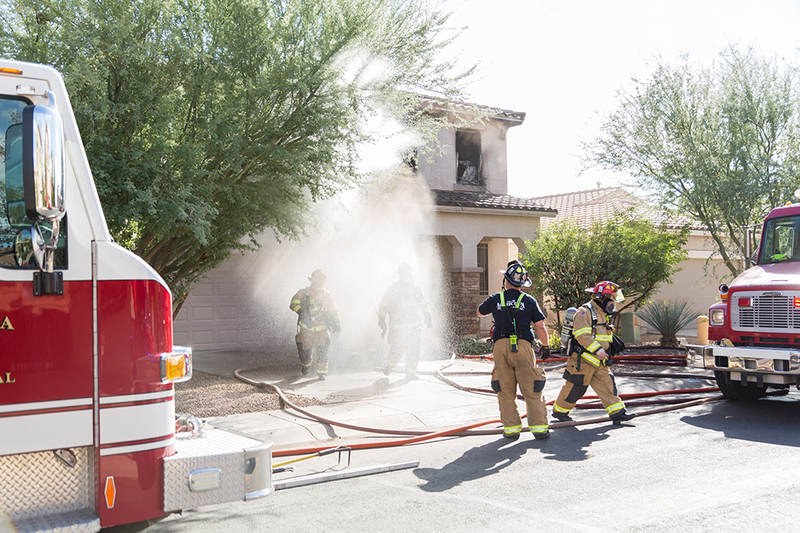 The “full response” fire received attention from every MFMD crew and automatic aid from two other fire departments in the Valley. 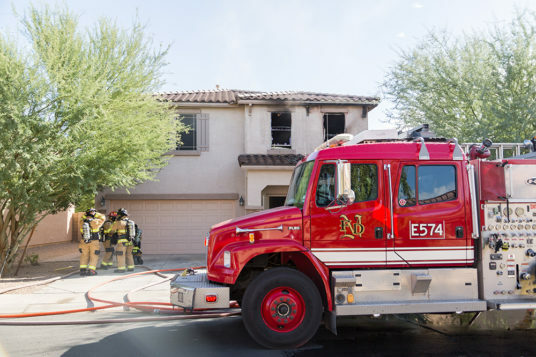 “As this fire was confirmed, then our dispatch center starts adding enough resources to it to be able to handle that problem. 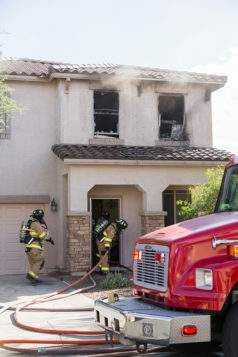 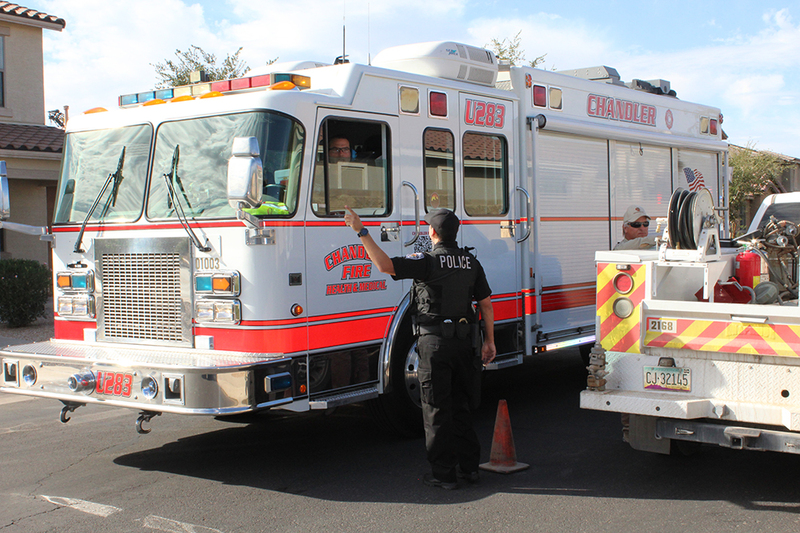 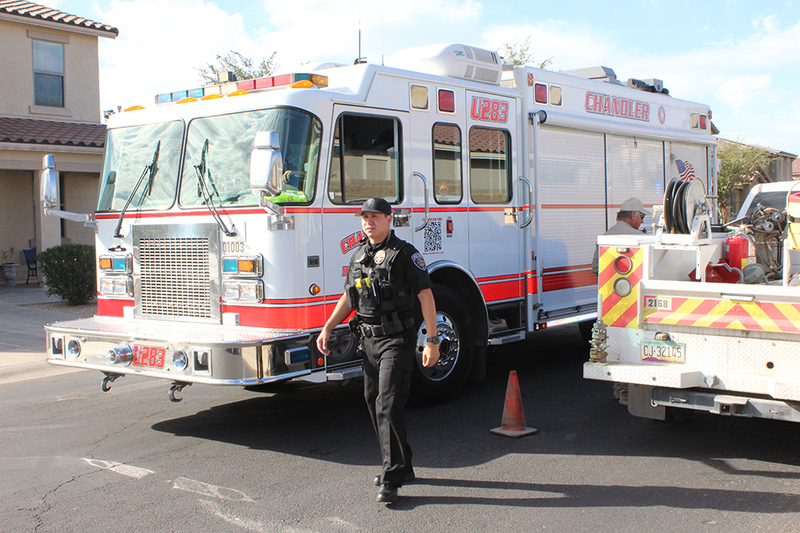 So Chandler (FD) did come down, we did have Sun Lakes (FD) that was en route,” Pitassi said. The Maricopa Police Department closed Alma Drive at Edison Road for over an hour as first responders worked the scene.